It’s so cool being able to talk to people that have been in the industry for a long time. They know the in’s, the out’s, and have great insight into the industry. And it’s always fun to hear their story of how they became as successful as they are. Let’s face it, we’re all suckers for a good coming up story. It helps us to get ideas, and somewhat of a path that may help us. 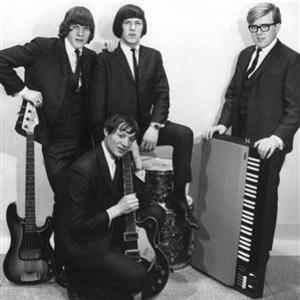 Starting off as lead keyboard in the Canadian Pop Rock band The Eternals; Which also had his brother Ted as the drummer, and life long friends John and Harry Hilderbrand on the guitar and bass. Starting in the 60’s the band was in for a bumpy road as The Beatles were dominating the music scene. So the Paley’s used a fmaily old warehouse and converted it into a professional recording and production side. As the regrouped and came back harder, they began playing in major local halls and bars where they had some of the top radio DJ’s to help them promote. After getting more attention they were booked by manager Bob Burner in 63′. In 65′ they went professional. They began doing bigger gigs and traveling more in Canada and America. 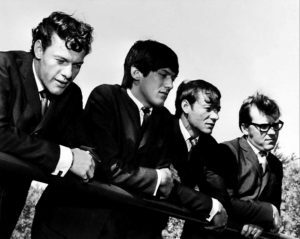 After touring and creating a great name for themselves they returned to Winnipeg, CA and opened Century 21 Studios in 1968. With John Hildebrand (Guitarist)being the recording engineer, Ron Paley (Keyboard) loving to be in the background and keep the show running supervised the technical installation and operations of the recording equipment. Harry Hildebrand (Bass) worked on the creative writing, commercials and jingles with Ted Paley co-writting and doing sales for them. The success of Century 21 Studios led Ron Paley to opening up Oakwood Audio Labs and expanding the company’s services. In 74′ the band retired from live performances to focus on their 2 studios. 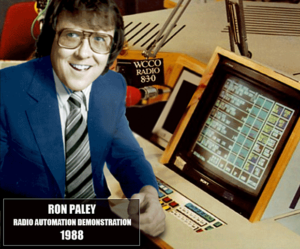 In 1984, Ron Paley became the co-founder of MediaTouch Salem, the first touch screen based radio automation software co-designed by John Connell of CBS Radio Boston and Ron Paley. Ron became president of MediaTouch USA in 1990 and in 1994 with his brother Ted, they purchased the world wide rights to the MediaTouch software. They decided to bring the product, its development and the client base support to their home in Winnipeg. Ted and Ron sold off the Hi Fi and Pro Sound businesses founding OMT Technologies Inc in 1995 (OMT – Oakwood MediaTouch). In 2001 with OMT Technologies Inc., the Paley’s took the Oakwood MediaTouch operations public and took management positions with the publicly traded Company, with Ron as Senior Business Developer and Ted as the CFO. In 1993, Ron Paley’s wife Carol Paley purchased the Oakwood Division from the OMT Public Company, and made Oakwood Broadcast a private corporation. In 2004, Ted Paley retired from OMT and joined Ron Paley Broadcast as its Business Manager, and in 2007 they started Ron Paley’s Broadcast bringing their company into distribution of new age broadcast products such as digital audio storage systems, air and production studio control surfaces and routers, devices and products that require networks, computers and software and the expertise to make all a working system. 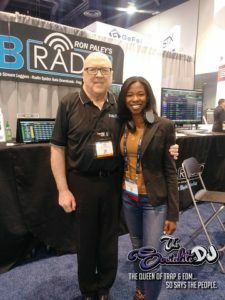 Ron Paley retired from OMT and has since focused and branched out DJB Radio. DJB Radio is the first online radio software, and it is the same software that is used by radio personalities and companies throught the world! As you can see Ron Paley isn’t just quite the musician but more so of the business man. He found his weaknesses and used what he’s great at to overcome them. The man behind the scenes, brought together a successful group and then turned that into a multi-million dollar corporation. With his family and friends supporting and backing him along every step of the way. It’s stories like these that you have to admire really. We all want to be able to be successful with family and friends, and in this industry it is damn near impossible. But somehow Ron Paley found a way to have his cake and eat it too. I’m sure it wasn’t an easy road, not by far; but it is one to admire, appreciate, and applaud. Stories like this you just don’t hear any more. Thank you so much Mr. Paley, for taking the time and talking with a small time radio personality such as myself. Getting to know you through your story has been incredible, and a moment I will never forget! Written By: The Socialite DJ Check out DJB Radio software’s and programs. Next Post Next post: The Fashion Radio Welcomes back Dangerous Di!